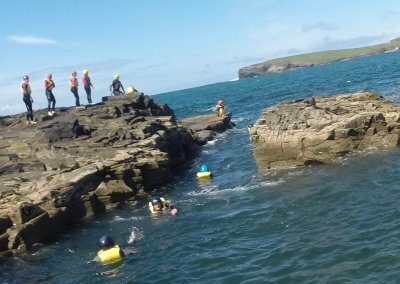 Coasteering has become the newest adventure sport to become extremely popular in Europe and is increasingly popular in Kilkee Co Clare along the Wild Atlantic Way, Ireland. 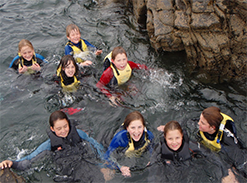 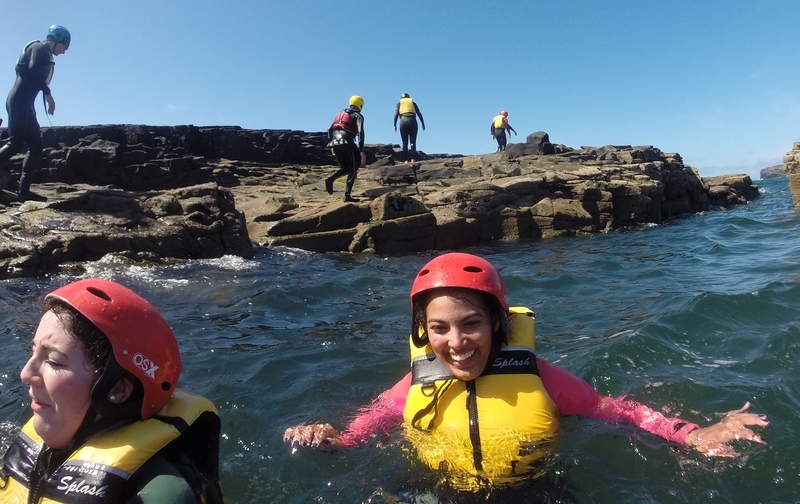 Coasteering is an adventure activity with climbing, jumping, swimming and exploring in and around rock pools, cliffs, cave and coves for all to experience and enjoy. 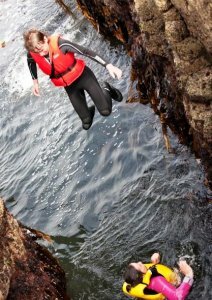 Coasteering has been voted one of the best things to do in Clare and predominately involves adventure swimming, exploring gullies, caves, cracks and different rock formations created by the raw force of the Wild Atlantic Way and then jumping off things from a height that is suitable to you. 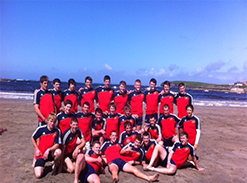 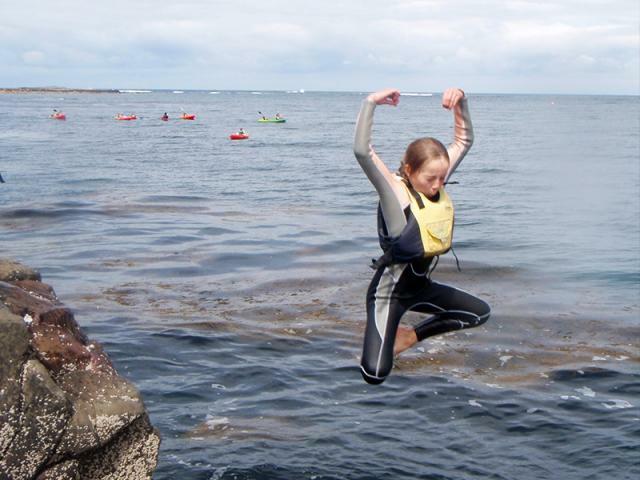 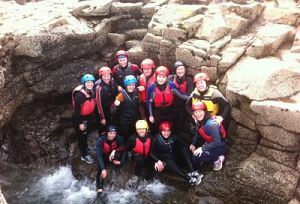 Here at Nevsail Watersports we have put together a Kayaking/Coasteering package and a Snorkling/Coasteering packages. 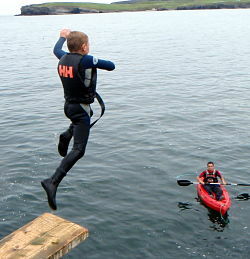 We can kayak or swim to these amazing areas and do some Coasteering to get peoples adrenaline racing. Brave the "washing machine" in Kilkee, where the raw force of the Atlantic. 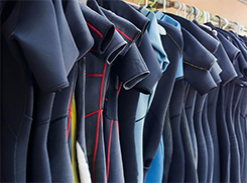 Wetsuits, Buoyancy Aid, Helmet and suitable footwear are required. 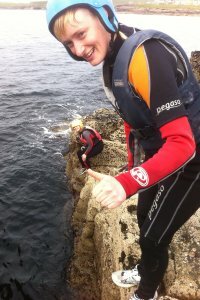 Coasteering Ireland - take an adventure that you will never forget.